If you lived in Silver Lakes you had to travel to the café in Wapadrand if you needed to buy a loaf of bread or a pint of milk. Old Farm road luckily sported a small center with an OK just across the street from us. Twelve years later we had a look around us and concluded this would be a good time to exercise or guesthouse rights on a portion of the Bellstone property. By that time much has happened and more and more businesses were opening up in our area or moving further East as this was where the buzz was. We were quite happy with the outcome of our business decision as it really exceeded our expectations. After all, we could not foresee that some very talented people would start up a show like Afrikaans is Groot just around the corner in the Moreletta Auditorium (now being moved around the other corner to Menlyn Maine) and the numbers of people who wanted to or needed to be in the area for business or pleasure. Probably one of the areas that recently developed the most rapidly, adding to the already largest mall in the country, Menlyn Mall, is what has now been established as being the most visited and popular shopping, restauranting and gaming area in the whole of Pretoria (Tshwane), Menlyn Maine. Incorporating dozens of the best restaurants and shops as well as the second largest casino in the country this is an exciting and lively hub of activity. Looking at a map of the area from Menlyn Mall in the West to Silver Lakes in the East and sided by the N4 in the North and Woodlands in the South, we find ourselves in the center of an area where everything that your heart desires to buy or to do is within a radius of 8 kilo’s away and most of it less than that distance. 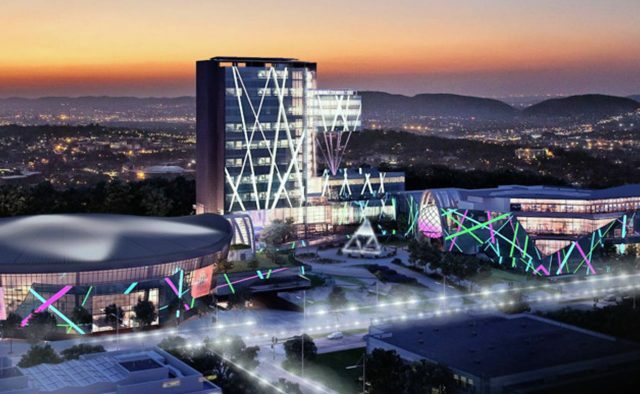 Think of shopping malls, various conference centers, theatres such as Atterbury theatre at Lynnwood bridge and the Barnyard, several golf courses, 3 hospitals, schools, and so the list goes on and on. Planning on going to any of the above events?